America’s largest home transforms each holiday season for an awe-inspiring tradition in Asheville, N.C. that dates back more than 120 years. Welcome the holiday season in style with Christmas at Biltmore -- a two-month holiday celebration featuring incredible decorations, live music and special candlelight evening experiences. 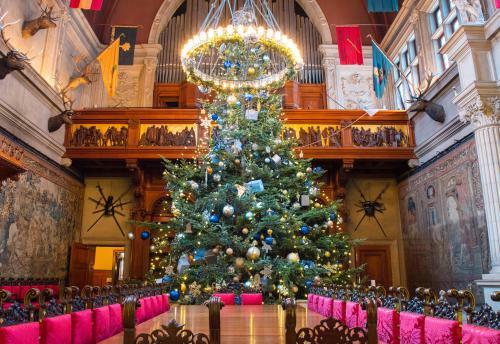 More than 100 hand-decorated Christmas trees adorn the home and the estate, the centerpiece being a 35-foot Fraser fir. The 35-foot tree is brought by Santa on horse-drawn carriage and lifted into place in the grand Banquet Hall during the annual tree raising (Nov. 1). 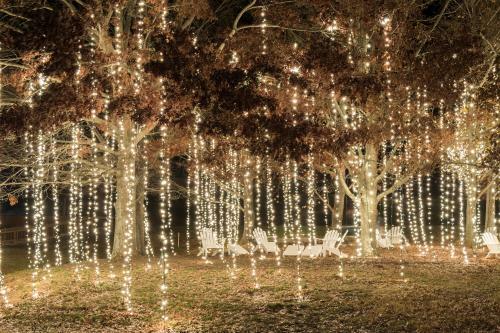 The more than 30,000 lights and candles you&apos;ll see twinkling throughout the Estate provide a magical ambiance. And, the 360 fresh wreaths, 1,000 live poinsettias and 7,500 feet of fresh evergreen garland give the estate an aroma that completes this feast for the senses. For a sense of what to expect, take our 2018 PHOTO TOUR of the decorations in Biltmore’s most iconic rooms! 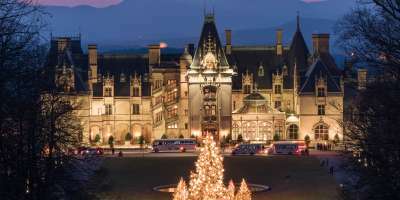 The Christmas at Biltmore celebration is spread across the estate with everything from holiday blooms in the gardens to an illumination display at Antler Hill Village to commemorative Christmas wine at the Winery. Each year, Christmas at Biltmore has a different theme, ensuring that every holiday season at Biltmore is unique. 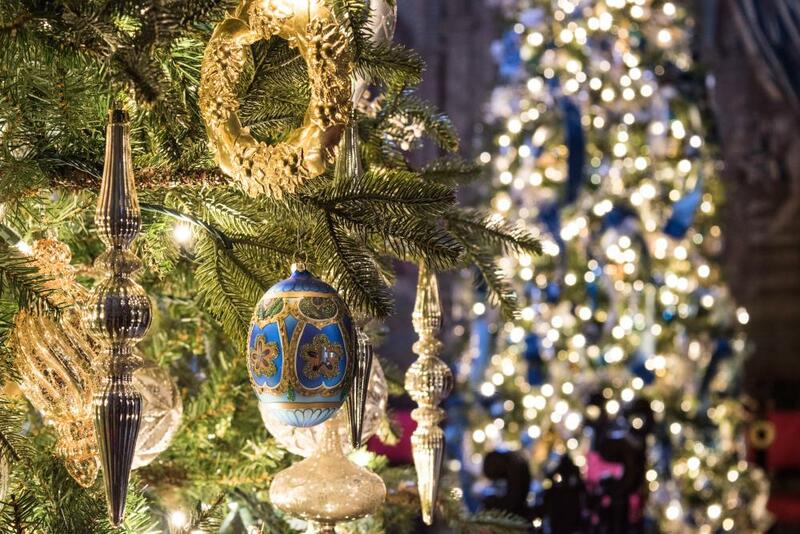 Enjoy the Christmas at Biltmore celebration during the day as part of your admission to the Estate. Make sure to plan ahead and book your date and time in advance. Your experience is a self-guided tour. During the day, in addition to exploring Biltmore House, you can also discover the gardens and trails. Inside the Conservatory next to the Walled Garden, there are daily complimentary seminars that provide tips for making your own holiday décor. 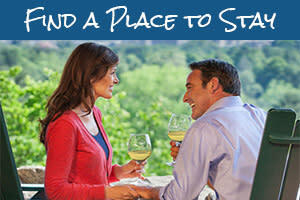 Don’t forget to stop at Antler Hill Village where you can enjoy a free wine tasting at the Winery. The Winery will be decorated with 7,000 globe-shaped ornaments that’ll evoke a feeling of being inside a bottle of sparkling wine. On the weekends, visit with Santa Claus at the Antler Hill Village bandstand. Biltmore glows in the evening with candlelight and firelight, giving you the opportunity to experience Christmas at Biltmore in a different light. Candlelight Christmas Evenings give you the chance to experience Christmas at the Estate much the way the Vanderbilt’s did on Christmas Eve 1895 when Biltmore welcomed its first guests. Musicians throughout the house will perform seasonal favorites as you stroll on a self-guided tour of the rooms of Biltmore House. Feel the warmth and glow of the dozens of lighted fireplaces. Before you even enter the House, you’ll be greeted by a 55-foot Norway spruce tree sparkling in the center of the front lawn. That tall tree will be surrounded by 35 illuminated evergreens. At night in Antler Hill Village and the Winery, a constellation of holiday lights illuminates trees, buildings and paths. The lights here have quickly become a must-see. 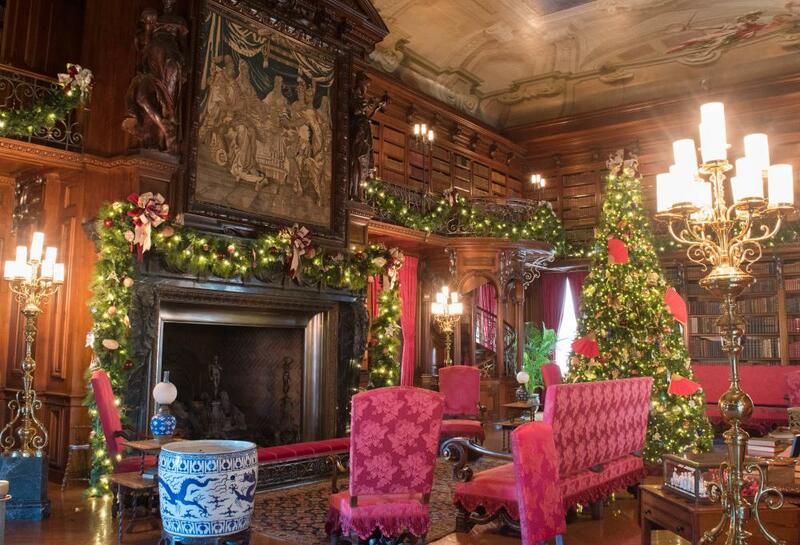 Candlelight Christmas Evenings do require a separate admission and are by reservation only. Throughout the Christmas at Biltmore Celebration, savor a festive meal at one of the Estate’s many restaurants including: The Bistro, Deerpark Restaurant, Stable Café, Cedric’s Tavern or The Dining Room at The Inn on Biltmore Estate. For a special treat, the Inn on Biltmore offers an afternoon tea. Modeled after the English high tea tradition, Biltmore’s tea includes an assortment of savory sandwiches, delicate scones served with whipped cream and lemon curd and hand-made pastries and sweets. Reservations are required. Wondering what wine to serve or to give as a hostess gift? You&apos;ll find the answer at Biltmore Estate Winery. 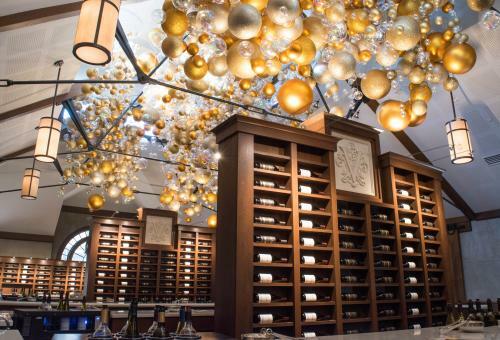 From food pairing to sampling the delicious combination of red wine and dark chocolates, the staff at Biltmore Winery can help you find just the right wine for your holiday celebrations. On Christmas Eve 1895, George Vanderbilt opened Biltmore House to family and friends for the first time. Estate records show no detail was overlooked to ensure the holiday would be a memorable experience for guests. Vanderbilt also had a special grand celebration with gifts just for the Estate&apos;s employees, a tradition family descendants are carry on today. In 2019, Biltmore gives you the opportunity to experience what these grand celebrations were truly like. Take a trip back to the Gilded Age with the special costume exhibition: A Vanderbilt House Party: Guests, Grandeur and Galas, February 9-May 27, 2019. Biltmore historians have researched what it was like when the Vanderbilts entertained guests at Biltmore House. An Oscar-wining costume designer has collaborated with Biltmore on the exhibit. Each piece of clothing will be displayed in locations of Biltmore House where it was originally worn, paired with the photograph from the Vandebilt archives that inspired it. Learn more by checking out our guide to the 2019 Biltmore costume exhibit. Candlelight Christmas Evenings require a separate ticket for entry from daytime admission and are available by reservation only. 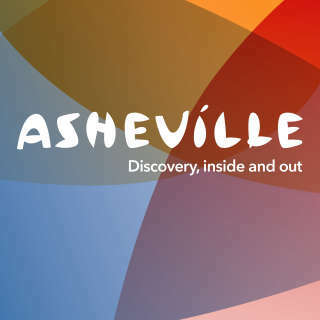 The ticket includes an evening self-guided candlelight tour of Biltmore House, same day or next day visit to the gardens, Antler Hill Village and Biltmore Estate Winery. 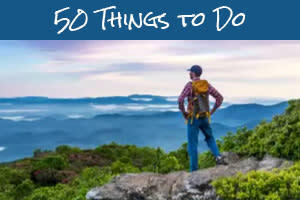 Photo credits: All photos by Jason Tarr of ExploreAsheville.com.